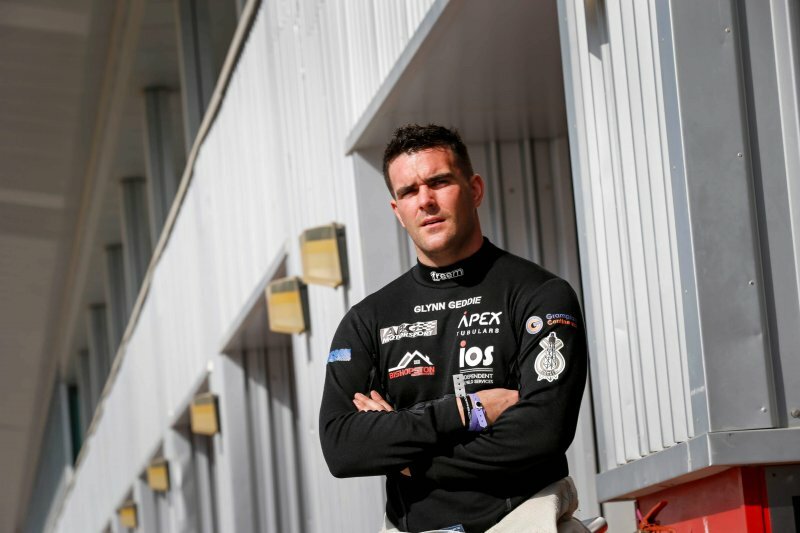 The AmD with AutoAid/RCIB Insurance Racing team can today confirm the signing of former British GT Champion Glynn Geddie ahead of the seventh round of the Dunlop MSA British Touring Car Championship at Rockingham. Glynn will form part of an all-Scottish line-up for the West Thurrock based team alongside Rory Butcher, and takes over at the wheel of the MG6 GT that secured a top ten finish in the hands of substitute driver Ant Whorton-Eales during the special Diamond Double meeting at Snetterton last month. Aberdeen racer Glynn has enjoyed an impressive career to date having enjoyed championship success in multiple series through the years. Winner of the Pro-Am2 and Pro-Am1 titles in consecutive seasons in the Porsche Carrera Cup GB, Glynn then moved to GT racing in 2011 as part of the Trackspeed assault on the GT3 class – taking four wins to finish second in the championship standings. A switch to CRS Racing and Ferrari the following season however saw him secure the championship crown alongside father Jim, with the pair then picking up more silverware following a move into European competition with United Autosports – lifting the crown in the Benelux-based Supercar Challenge series in 2013. Glynn then went on to spend a part-season in the BTCC in 2014 and has since raced in a range of different championships, most recently the Porsche GT3 Cup in the Middle East. As a new entrant to the BTCC, the 28-year-old will carry 45kg of additional ballast on his MG6 GT through qualifying and the opening race of the weekend. Fife-based team-mate Rory heads for Rockingham keen to bounce back from a tough weekend on track at Snetterton last time out, where an unfortunate mechanical issue and then multiple bouts of contact prevented him from adding to his points tally. That meant he was unable to make the most of the impressive speed he had shown at the wheel of his MG6 throughout the opening half of the year, and he now hope to add to the ten points finishes he has secured already in his first full season in the series. Rockingham marks the first circuit on the calendar where Rory has raced a BTCC car in the past, having been the scene of his second outing with the Motorbase team twelve months ago – with a 14th place finish in the final race being his best result. This time around, the 31-year-old will hope to push towards the top ten to improve his position in both the Independents’ and Jack Sears Trophy standings. “I raced in the Middle East over the winter and have been looking at the options available for a programme since then. I’d been speaking to Rory about the BTCC, and when the MG drive became available, it was at the right time for both my sponsors RAM Tubulars and I to try and sort a deal. “I feel I have some unfinished business with the BTCC and it’s great to have a chance to return to the series. I know it will be a big learning curve as I haven’t raced a front-wheel drive car since my part-season in the Toyota, and I know it might take me a little longer to get back up to speed than if I was jumping into one of the rear-wheel drive sportscars I have raced for most of my career. “Realistically, the Rockingham weekend will be a bit of a test for me ahead of a big weekend on home soil at Knockhill, but my aim is to work with Rory and the team to work my way forwards in each session and see how I get on. “Snetterton was a frustrating weekend for me as we had a real opportunity to score some good points and didn’t due to circumstances outside our control. But I have to just put that weekend behind me now and try and hope that luck will be more on our side at Rockingham. “I’m going there feeling positive as I think it is a circuit that will suit the MG and I see no reason why we can’t look to challenge for some decent points finishes. It’s also the first circuit we’ll visit this season where I have raced a touring car before, which can only benefit me as I’ll have an idea of things like how the tyres are going to perform across the races. “We’re pleased to welcome Glynn Geddie into the team and it’s great to have two Scottish drivers together in the team when we have the meeting at Knockhill coming up later in the month. “Glynn is a driver who has enjoyed success in a range of championships during his career so far, and I feel confident that he will be able to challenge for some strong results when he gets up to speed in the MG. It will be tough for him this weekend at Rockingham with the extra weight and the fact it will be his first time in the car, so the focus is very much of maximising his track time to learn as much as possible.